I am 30 years old and I am Oil Paintings Artist. I am Tetraplegia sickness for 11 years. Even If Tetraplegia people cant use %92 body functions. I can just move my arms and just first finger of right hand. It sounds like a miracle but I love life. 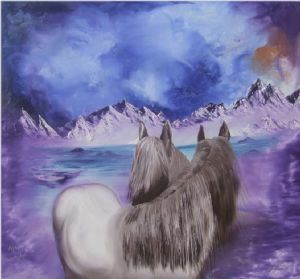 The oil paintings are diffucult for me than other artists. I exhibited my arts in art galleries.